What are the options available on the table? Over the last few days, the media was buzzed with happenings from the Trump – Kim meeting held in Singapore. It was notably a historical event, considering that this is the first time that the leaders from North Korea and United States of America were meeting for a summit. Just for fun we speculate what watches we might recommend to these world leaders. So firmly tongue in cheek, let’s begin with the watch recommendation. The two leaders are not known to be big collectors of watches. We have, however, spotted some of the pieces that these leaders had worn previously. Kim Jong-un is known to be wearing a Movado Museum, as seen in his recent meeting with South Korean President Moon Jae-in at Peace House of the border village of Panmunjom in the Demilitarized Zone. Donald Trump, on the other hand, was seen with some nice pieces – notably the Rolex Day-Date. Interestingly, Trump has his own line of watches as well, although we reckon that we shall save that for another occasion. While there are certain nice watches between the two leaders, we reckon that they might be able to do better with some additions to their collection. What are the watches that we feel that these world leaders should have? Let’s have fun speculating! This particular Citizen Chronomaster is a stunning piece – yet it remains understated and elegant. We begin the article with a timepiece that had captured our hearts recently: the Citizen AQ4020-54Y, also known simply as “The Chronomaster”. Citizen is a brand that is not pretty well-known in the realms of fine watchmaking, but it is definitely myopic to write them off before getting a better picture of the company itself. The Japanese watch manufacturer – which celebrates its century-old existence this year – has a deep and rich history in watch making, and there were notable “firsts” when it comes to the field of innovation. The Chronomaster is perhaps one of Citizen’s finest works. The 39mm super titanium timepiece might look simple in picture, but the attention to detail is amazing. The case and bracelet, for instance, features the “Zaratsu” finishing with gives it a mirror-shine effect. The Washi paper dial also gives the watch an interesting texture and appearance as well. Finally, the watch is powered by the Calibre A060, which is one of the two ultra high precision quartz movements that Citizen produces. The combination is simply phenomenal. Priced at ¥330,000 (approximately S$4,030), this Citizen is tad more expensive that its usual offerings. However, this is a very well-made and reliable timepiece, and we reckon its simplicity is also something that would bode well with the two leaders. 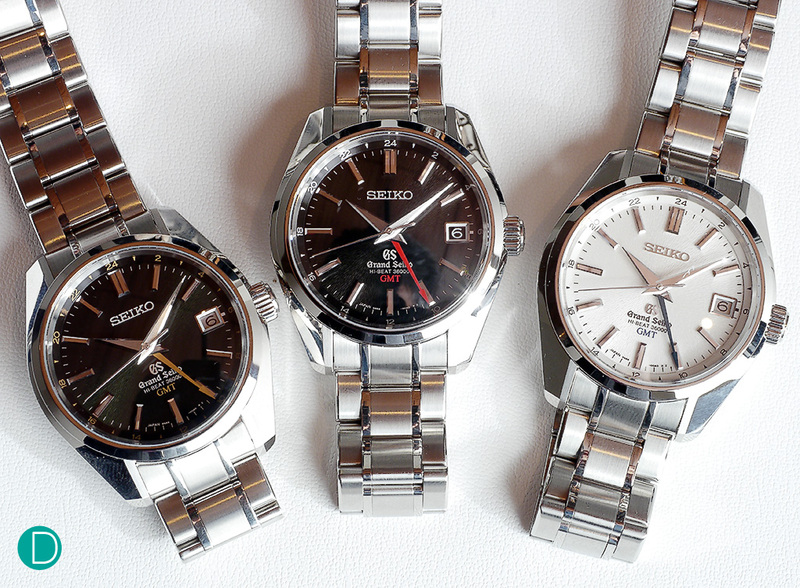 The Grand Seiko Mechanical Hi-Beat 36000 GMT, in three different variants. Continuing with the theme of Japanese watchmaking, we have yet another wonderful piece from an equally capable watch manufacturer. Cue the Grand Seiko Mechanical Hi-Beat 36000 GMT. This watch, which was launched in 2014, is another piece that is extremely well-made. 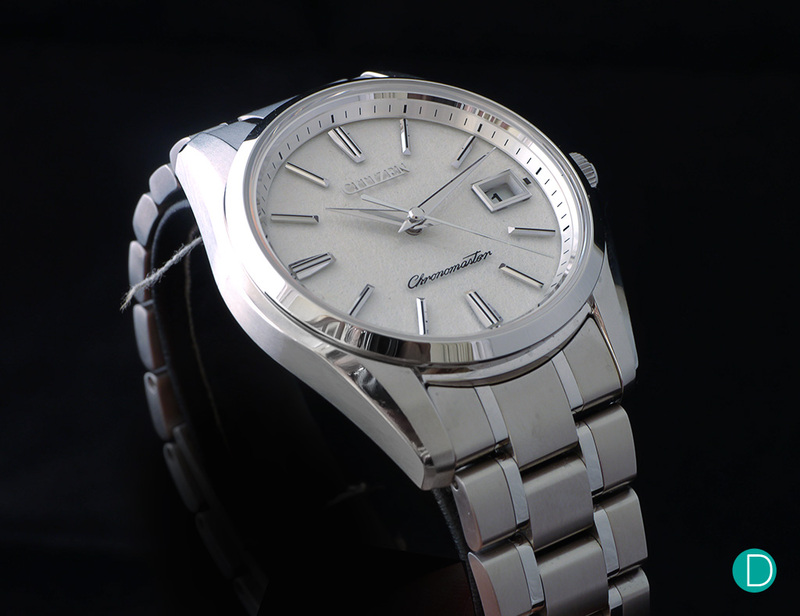 Similar to the Citizen timepiece above, the attention to detail for the Grand Seiko is immense. The watch features the “Zaratsu” polishing on various components, and it is paired beautifully with a textured sunburst dial. In addition, the Calibre 9S86 – which comes with a golden oscillating wheel with anodic oxidation treatment – is a sight to behold. It is extremely functional as well, especially with the additional GMT function and a power reserve of approximately 55 hours. While the brand had undergone some restructuring, we reckon that the Hi-Beat 36000 GMT might still be available in the secondary markets (or, there might be a slim chance that it is still available in some boutiques or authorised dealers). It is originally retailing at US$7,250 (approximately S$9,794). Alternatively, the new model is worth a consideration as well, if one prefers a fancier dial. This Grand Seiko certainly combines both form and function, and its feature is certainly useful for a politician who needs to travel often. 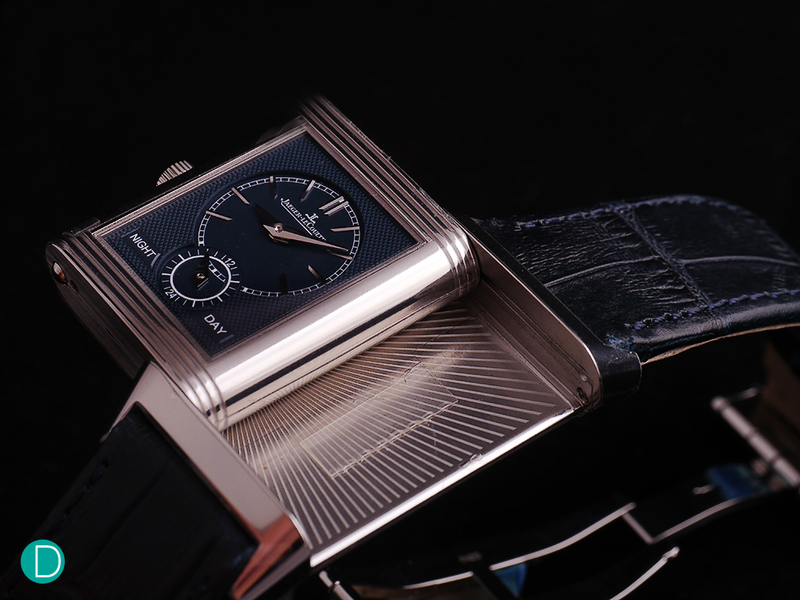 The Jaeger LeCoultre Reverso is one of the watches with an extremely interesting provenance. The watch was first conceived in 1930s, when a group of Polo players approached César de Trey to design a timepiece in which the watch face (and crystal) will be protected from the impact of the mallets. The rest, as they said, is history. Over the years, many iterations of the legendary Reverso had been produced. The Tribute Duo is one of the best options for a busy politician, in our opinion. The timepiece features its iconic reversible dial, and it features a timepiece with two different dials – each indicating the time at two different time zones simultaneously. Powered by Jaeger LeCoultre’s Caliber 854A/2, the manual-winding movement has a decent power reserve of approximately 45 hours. As mentioned, the timepiece is capable of telling time at two different time zones concurrently, and the finishing is done to a very high traditional Vallée de Joux standard. The watch is priced at S$17,600, and it is certainly a discreet and proper choice for a leader who wants a functional and dressy timepiece that is a tad uncommon from the usual. 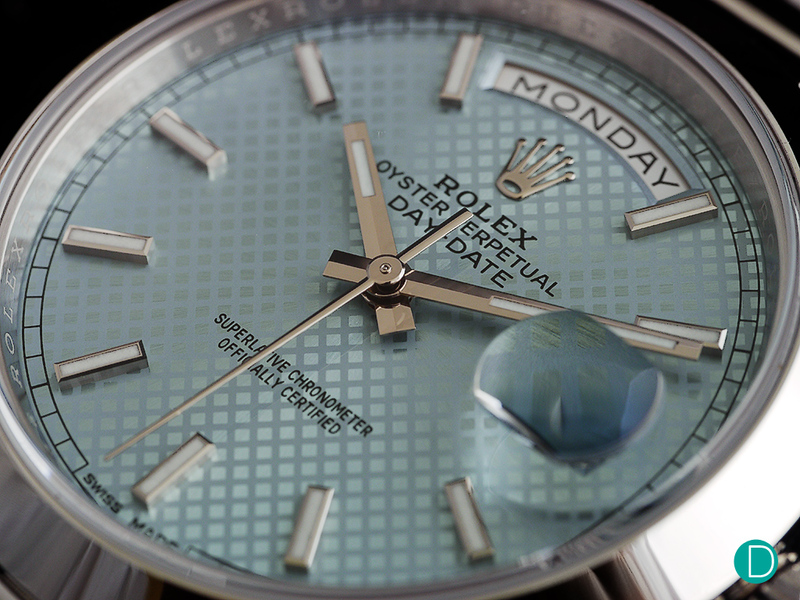 The Rolex Day-Date – a watch that is associated with presidents. When it comes to watches that are synonymous with leaders, the Day Date is perhaps one of the watches that often comes to mind. This is not a surprise, considering that Presidents such as Lyndon Johnson had actually wore one when he was in the Office. However, the term “Rolex President” is referred to the unique bracelet that is fitted onto the Day-Dates, and not the watch itself (a common misconception). The actual origin of the nickname is not well-documented, although some sources cited that it was due to the connection with Dwight Eisenhower. Moving on, we think that the Day-Date is an excellent candidate for a President’s watch. Its functions, which includes a day and date indicator, is pretty helpful. On top of that, Rolex’s are renowned for its quality and robustness. It is also not too ostentatious, if the watch is cased in either white gold or platinum. Unlike its Everose or yellow gold counterparts, the platinum or white gold Day Dates are definitely more discreet and elegant. The new Day-Date 40, cased in platinum, retails at S$84,500. It still retains its old-school charms, but with a larger case (40mm) and an updated movement (Calibre 3255). It is certainly fit to be on the wrists of some of the most powerful leaders in the world. On the wrist, the 44mm Senator Cosmopolite is perfect, and slips under the cuff easily and sits comfortably on the wrist. 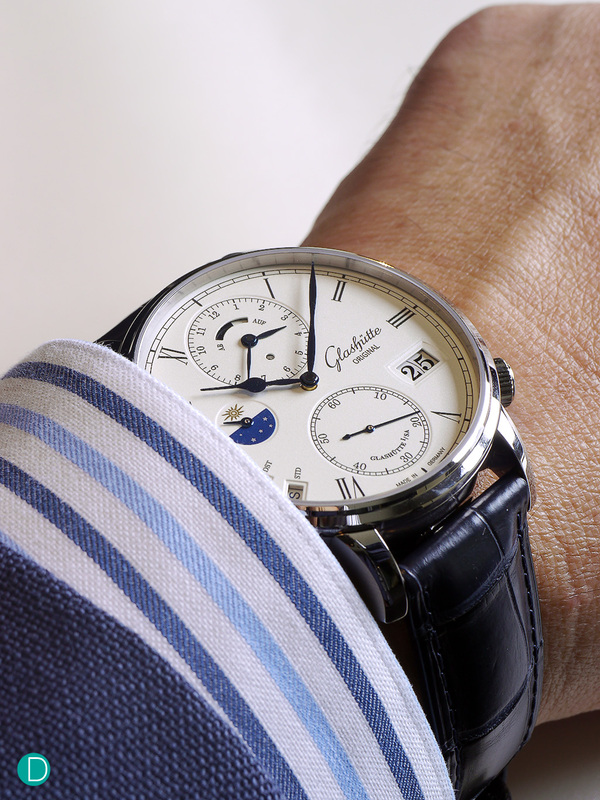 We then turn our eyes to the German side of the house, with Glashütte Original’s Senator Cosmopolite. The Senator Cosmopolite is a more wallet-friendly version of the original Glashutte Original Cosmopolite Tourbillon. The latter is an incredible timepiece, but although perhaps not of a President’s budget, but it possibly wouldn’t be agreeable with critics and/or political commentators alike. The Senator Cosmopolite is a toned-down version, but an impressive one nonetheless. The main highlight of the watch is probably its dual time zone display, in which it can switch between 37 different time zones (which include those with half hour or quarter hour differences) in either Daylight Savings Time (DST) and Standard Time (STD) format. On top of that, the watch has many other functions, such as a day/night indicator on the second-time zone, a big date indicator, as well as a power reserve display. This is achieved with the in-house Calibre 89-02, featuring a double swan neck arrangement and a respectable power reserve of 72 hours. All these comes at a price though – the 44mm Senator Cosmopolite is retails at S$67,400 for the rose gold model, and S$70,200 for the white gold variant. While it might be the priciest timepiece on our list today, but we reckon it is a darn good and useful timepiece, with the capabilities to beat the Swiss at their own game of haute horlogerie. 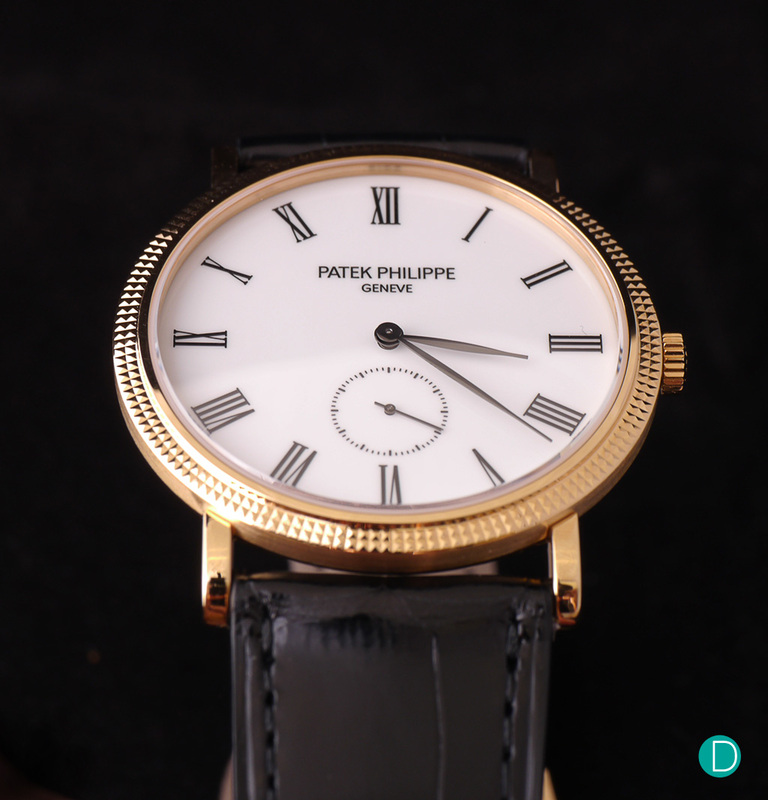 The benchmark for all dress watches – Patek Philippe Calatrava Ref. 5119. This particular Calatrava – the Reference 5119 – has an evocative old-school charm to it. The 36mm timepiece is very elegant in size, with a classic white dial that contrasts with the black roman numerals nicely. It is further accentuated by the yellow gold case, which features a nice “Clous de Paris” hobnail pattern on the bezel. The overall design is pretty much on point, yet it is very discreet and slips subtly under the shirt cuffs. The watch is fitted with Patek Philippe’s Calibre 215 PS. It is a manual-winding movement, with a power reserve of around 44 hours. The layout of the movement is pretty much based on those that was on old-school pocket watches, and it is fairly well-finished with a good amount of bevelling and polishing. It is priced at S$29,000, and we reckon it is an excellent dress watch that pairs nicely for a leader who is constantly in suits or formal wear. It is often frowned upon when politicians wear expensive wrist watches. It might be even worse for the two leaders that we have highlighted, considering that they are not exactly the most well-liked personalities in this world. However, that does not mean that a politician cannot have nice watches. It is noted that there are politicians (or former politicians) who are known to be purveyors of fine timepieces, such as Russia’s Vladimir Putin and Former President of France, Nicolas Sarkozy. Of course, these watches should be purchased by the personal wealth that they have accumulated through their hard work and definitely not from the coffers of the nation. The latter is certainly a no-no. While some of the choices here are priced on the higher end of the scale, but we reckon the selections from the two Japanese watch manufacturers are priced rather modestly indeed. Granted, these two pieces are much more expensive than the typical Citizen and Seiko watches that we are exposed to, but they are very robust and intricately produced. The quality is rather amazing, and to top it all off – it is very discreet and understated as well. It is certainly good choices for leaders like Kim and Trump. So, what are some of the watches that you will recommend the two leaders? Are our choices appropriate? Let us know in the comments section below.